When nature crosses the line, lay down the law with a STIHL edger. With powerful, low-emission engines, our edging tools help you take back your sidewalks, walkways and curbs. Keep grass under control, weeds under wraps and soil in its proper place. With a STIHL lawn edger, you can add a crisp, finishing touch at home, on the job or anywhere in need of bold new definition. They re as close as you can get to giving your landscape an exclamation mark. 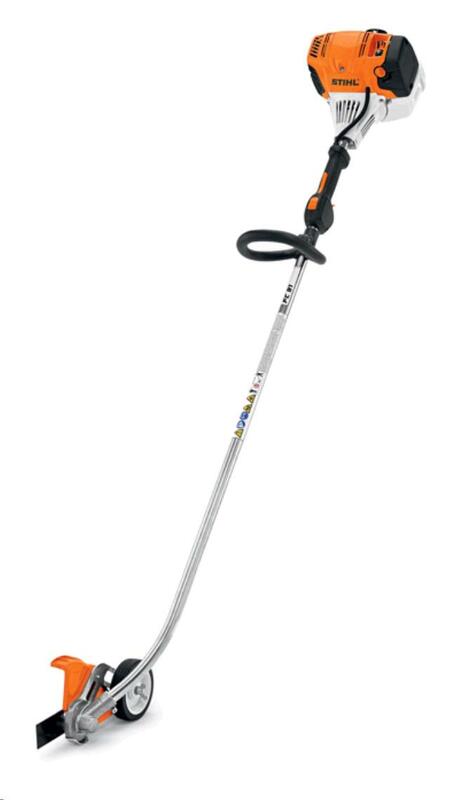 STIHL edgers are also easy to use, featuring adjustable depth wheels, excellent balance and ergonomic handle controls. When it s finally time for your edger to regain its edge, replacing its 8 hardened steel blade is quick and easy to access. And all STIHL edgers include heavy-duty skid plates to protect the gearbox from wear. We make our edgers with strong, durable components so they are dependable and long-lasting. Your weeds and overgrown grass don t have an expiration date, so why should your edger? Whether you re a homeowner looking to add definition to your outdoor space, or a professional landscaper in need of a durable edger for everyday use, STIHL gives you the edge you re looking for. We know edgers are not one-size-fits-all. That s why we offer a full range that zero in on your exact edging needs. * Please call us for any questions on our stihl line trimmer edger gas serving Honolulu, Waikiki and surrounding communities on Oahu.